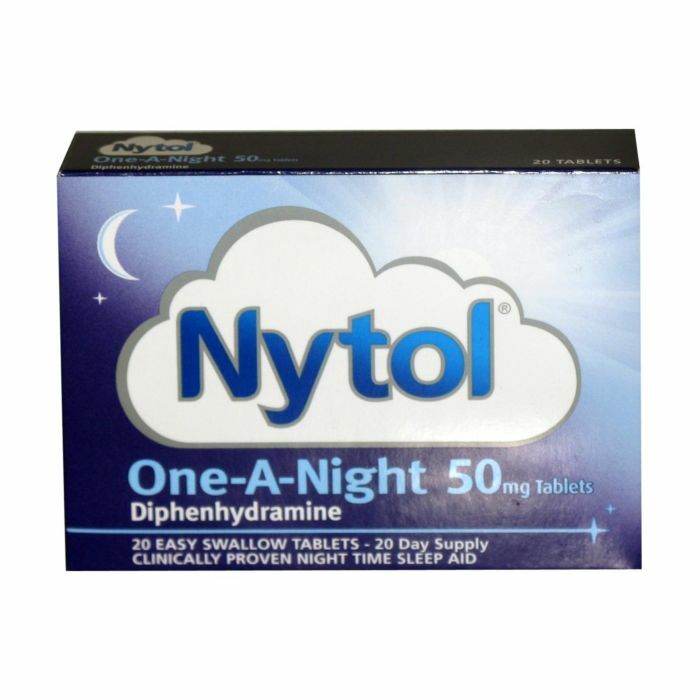 Nytol One-A-Night is the UK's best-selling sleep aid. It excels at tackling sleeplessness and helping you drift off into a restful and natural sleep. Nytol One-a-Night Tablets are clinically proven to help relieve temporary sleeplessness by promoting a regular sleeping pattern. They are the perfect addition to your bedtime routine if you're having trouble drifting off to sleep, as you simply take one tablet 20 minutes before bed and you'll find no trouble in gaining a full night of rest. They work by blocking the normal actions of histamine, which is the chemical that stimulates arousal-promoting areas of the brain in order to reduce alertness and promote that first stage of drowsiness. Once in that first stage of sleep, you?ll find it much easier to naturally drift off into a deep and restful sleep so that you can feel fully refreshed in the morning.